At 6 years old, children are just learning about life, their place in it and what they like. Small girls don’t just love unicorns and anything pink, they are as individual as any adult and may prefer getting a baseball for a present instead of a stuffed animal. If you're looking for that perfect gift, here is a list of things little girls might like. 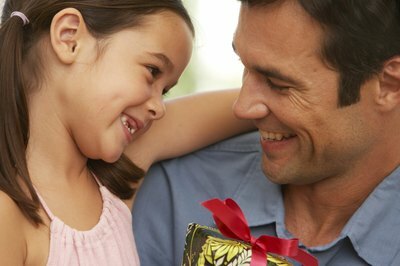 As with any kids' present, make sure the gift is certified as being safe. There are classic kits like Mr. or Mrs. Potato Head and chemistry sets, scrapbooking kits and design kits. It’s important to consider not only the age level of what is appropriate but also her interests. Always look on the side of the box where it will say “5 and up” for example. This way you know it is right for a 6-year-old. 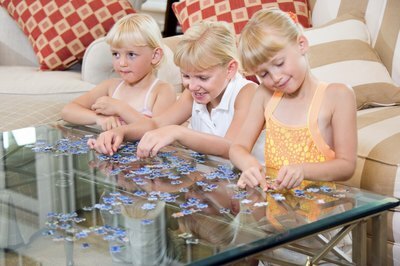 Puzzles are interactive and can allow you time to bond with the little girl. People are comfortable talking while doing something together and this can also challenge her mind and even teach her a bit about physics. Stuffed animals are always a classic choice for a present for a 6-year-old girl. Try to find out her favorite animal and buy a stuffed animal to match. If you don’t know the animal she likes best, remember to find one that is soft, huggable and in her favorite color. Reading early in life helps a young child become a successful adult. In your local bookstore there is a children’s section. Buy a book that may be too advanced for her to read alone but that you or her parents could read to her in order to foster a love of reading. Some good books for 6-year-old girls include "Charlotte's Web," "James and the Giant Peach" and "The Littles." Like puzzles, board games teach reaching logical conclusions and reasoning skill sets. Monopoly teaches kids about how to handle money, while Operation teaches about the human body. 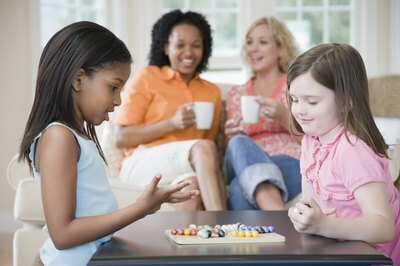 Great board games for 6-year-old girls also include Candy Land, Life, checkers, and Guess Who? There are Barbie dolls for little girls to dress up, babydolls for them to “play mommy,” and other dolls that can reflect all sorts of ethnicities and belief systems. 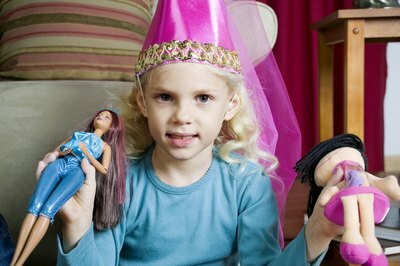 Playing with dolls evokes role-playing, which is an important exercise for children. Check the child’s video collection for movies you loved as a child. If you don’t see something you watched get her that. Tell her how much you loved it and you hope she will want to share that with you. Disney or Pixar movies are always winners. You can find dress-up sets in children's stores and even dollar stores. Some sets are theme-based, such as princess sets, fairy sets and career sets. There are children’s golf and croquet sets made with plastic and safe for children. If she can swim you can get her arm floaties. If her parents are OK with it you can even get her a gift card for horseback riding lessons. Small tricycles, sports toys and bubbles are presents a 6-year-old girl would enjoy. Interactive digital reading systems are a great choice for kids. Systems like LeapFrog interact with the child and teach reading skills. 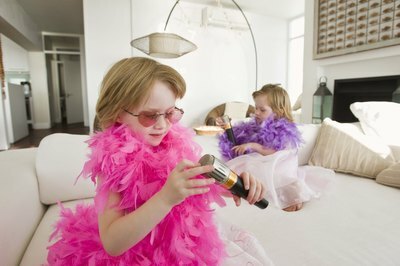 If she likes to sing, there arereasonably priced karaoke machines for kids as well as child-friendly digital cameras.